What do you get when you cross clever politics with terrible economics? You get Labour’s bribe and National’s reluctance to do better: in the form of the Interest-Free Student Loan Scheme. In 2005, the then-Labour government delivered on their promise of being the Party for the people. Under Helen Clark’s administration new student loans would carry zero interest and existing interest would be retrospectively wiped off. Every year since, successive governments have written off a substantial part of the value of the student loan debt. The interest-free policy has cost taxpayers almost $6 billion since 2006. 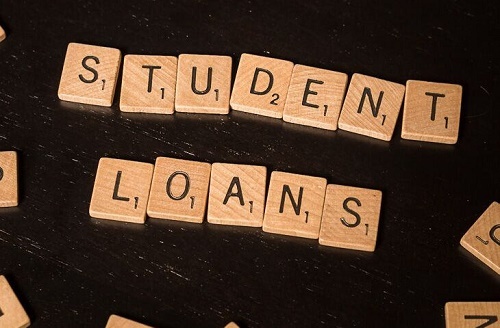 The New Zealand Initiative’s analysis of the costs of the Interest-Free Student Loan argued that it has been a costly exercise that has fallen short on meeting its objectives. The Decade of Debt report argued that interest should be put back on student loans. Just over a week ago, the Productivity Commission, in their New Models of Tertiary Education draft report, recommended the same. Unsurprisingly, the proposal was met with a fierce backlash particularly from student groups. It makes sense, people react when matters affect them personally. There are plenty of stories of students struggling to make ends meet with current levels of financial support. In that case, any implications of additional costs on the pockets of individuals will inevitably be met with opposition. I was a young seventeen-year old student in the early 2000s. I spent much of my initial tertiary years on worldly adventures instead of inside lecture theatres. The result: I ended up with two degrees I never intended to do for the price of about four. Removing the impetus to pay debt quickly, can effectively minimise incentives for students to put sufficient thought on their approach to studies. It was always going to be difficult to convince Labour to change its mind to support ‘more-market neo-liberal’ ideologies. Unfortunately, the National Government too refuses to touch the policy. Tertiary Education Minister, Steven Joyce, argues ‘the issue is about trade-offs and the government has it about right.’ It is hard to challenge the first point but difficult to support the second. The Education Ministry’s own analysis affirms that interest-free loans encourage borrowing, while reducing the incentive to voluntarily pay back the loans. The New Zealand Initiative’s calculations show that for a typical bachelor graduate, a 7% interest added on to a $16,000 loan would take about an additional year to pay back compared to if it had been borrowed at zero interest. There is another voice missing in the debate. It is of those who did not get the opportunity to earn degrees and wound up in low-paid jobs, but are nonetheless expected to service student loans. Is it fair that students who are not better supported to access higher qualifications wind up paying for those better educated and possibly better positioned to pay for their own education? New Zealand’s school achievement statistics suggest more work needs to be done pre-tertiary. Despite myriad costly initiatives introduced to tackle school underperformance, we are not getting too many more of our young adults direct entry into university today than we did seven years ago. Last year, 41% of school leavers left with enough credits for University Entrance. The number was 38% in 2009. What is even more worrying is the achievement disparities along socio-economic lines. At least 65% of students with University Entrance each year between 2009 and 2015 were likely to be from wealthy families. Students likely to be from low-income households are least likely to achieve sufficient knowledge and skills to give them access to higher education. In 2015 for example, for every one student from decile 1 to decile 3 schools with University Entrance there were six from decile 7 to 10 schools. Given that some of New Zealand’s poorest students have less chance of getting to university, does it benefit them to then have to pay to better educate their wealthier peers? Yes, having competent engineers, lawyers, and doctors benefits us all. But that education will also directly help the engineer, doctor, and lawyer simply because over their lifetime they will, on average, earn more than their less educated counterparts. A recent OECD report shows that those with tertiary qualifications earn on average 55% more than those with upper secondary qualifications. The money that is wasted on zero-interest loans could be funnelled back to schools where the support is needed most. The decision to scrap interest off student loans was a voter bribe as is the decision to keep the policy even when it has hardly helped those who need it most. The zero-interest loan question will likely be on the 2017 election agenda but the bigger question is whether we have any politicians willing to make good of sensible economics. *Martine Udahemuka is a research fellow at the NZ Initiative. This is the Initiative's fortnightly column for interest.co.nz. The funny thing about about governments is that they like being elected. Charge interest and that's the end of the government. Of course it is more socially equitable to charge interest on student loans. Without charging capital costs, those that do not benefit from interest free student loans carry an unfair tax burden. Giving free education would accentuate this even further. Free education policies are nothing but a method for enriching the middle class/voting population. You think Austrian free market economists are cultists? Irony. Doesn't that sort of contradict their whole liberalism ideology? Sure they got their education for free. It doesn't mean that it is right to extend that to every generation ad infinitum. Especially when successive neoliberal(ish) leaning governments are being elected. Pick one doctrine and adhere to it. Having even more of a pick 'n' mix government is never going to be efficient or equitable. Are you making a link between neoliberalism and Austrian economics? Are you suggesting that this is what NZ govts have implemented? Really? You wouldn't agree that the National party has a neoliberal perspective? Privatisation? Free Trade? Targetted reduction in Govt. spending? I don't really get this statement? It seems disingenuous at best. Is the author implying that the cost of the student loan is born by someone not borrowing it?? The cost of the loan is born by the person borrowing it, as it will eventually be repaid in full (hopefully). Due to the interest free nature of the loan I guess the non-student would bear the cost of inflation in real terms over the life of the loan as an interest free loan has a negative real interest rate. But that is definitely not the full cost of the loan which is what I read to be implied. Besides any cost will be worn by the tax base not the non-student directly. If you want to put interest back on student loans there are plenty of valid reasons but I hardly think this is one of them. Seems like a pull at the old heartstrings really. Global interest rates for some ( rich corporations, some governments) are at about zero percent. Interest rates for poor people are very high. Interest rates for poor people are what ever people in charge want them to be. The author mentions 7%, why not.7% or .07 % or minus .07 percent. The New Zealand government has the choice of borrowing at near zero or printing at zero. There is no money wasted only money not received by the government. If Mickey Cullen had not introduced the interest-free loans for students , it is a very real possibility that we would have had Don Brash as PM , instead of another 3 years of Helen Clark ! Nice piece, good to hear a different voice from the usual white, male ranting. But don't get me started on universities. Epic fail. The whole value of universities has been devalued in my books with the notion of freeing it up for everyone - 'democratising' - and with them being run as a business. All the wrong incentives in place. Sorry, but universities SHOULD be relatively elitist. Earning a degree should be challenging for intelligent people, and it should be very hard to achieve excellent grades.